Salerni of Italy's image of the Lippi Madonna is set in this beautiful embossed reproduction of the silver cast designs. 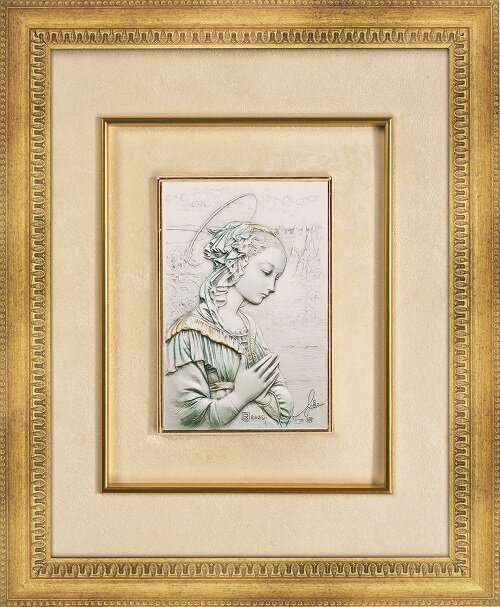 The 15" frame is goldtone with double velour matting. The inner art has a goldtone trim and embedded with a touch of color for brilliance. Comes boxed and makes an ideal gift or treasured keepsake.